So far today we've had breakfast (croissants, lardons, eggs), lunch (lasagna), and for a snack - because of course when you do nothing all day, you're mysteriously starving - yet more raclette. 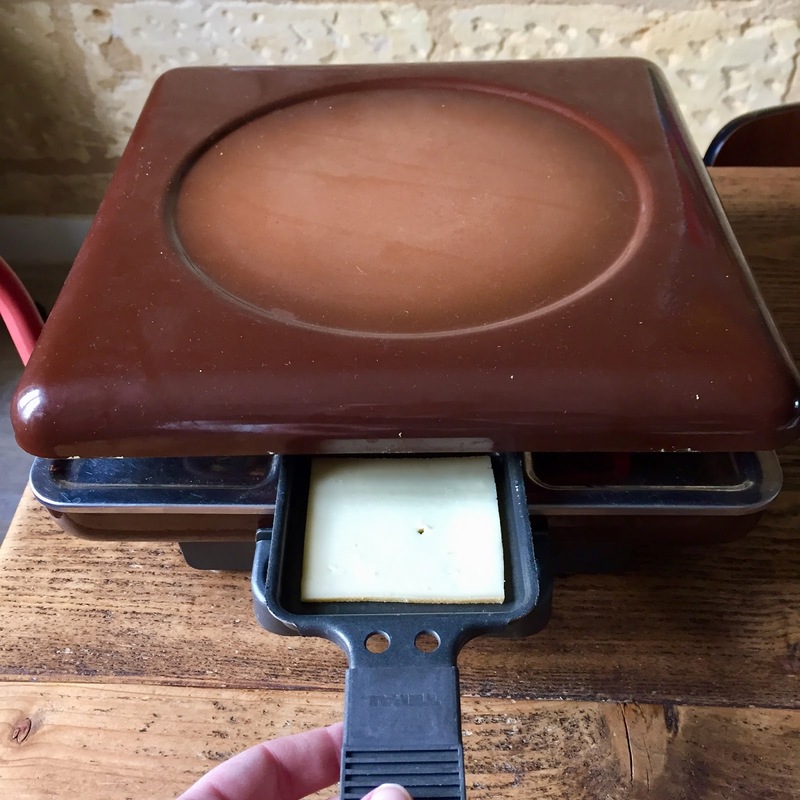 Our raclette machine may be the greatest French flea market find yet. For only ten euros, we get to gorge ourselves on melted cheese ALL THE TIME. 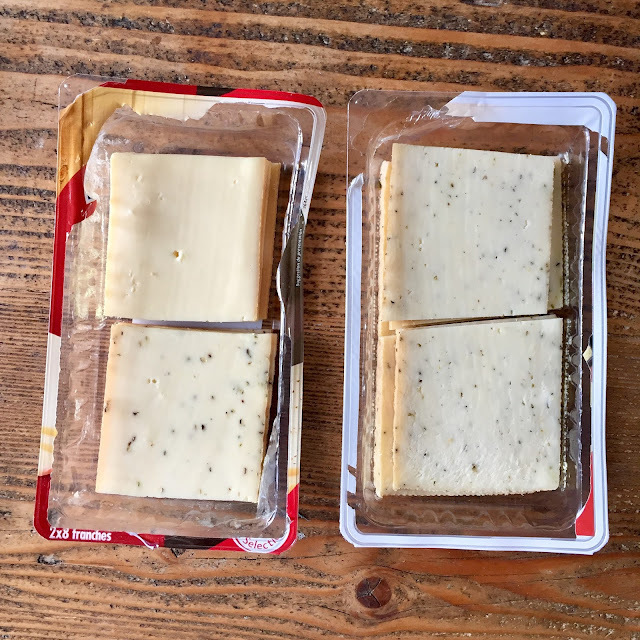 This is the raclette cheese we get from the supermarket - it comes in packages like this, already trimmed to the right size - for the laziest of us, natch, which is to say anyone who uses a raclette grill - and in a variety of styles. Here we have regular, pepper, and herbs de provence (my personal favourite). And WHAMMO! A minute later, GOO TOWN. Saturday I'm going to experiment making nachos using it, JUST BECAUSE I CAN. See you tomorrow! I'll be starting a proofread - because one can't be on cheese holiday forever - and it's a book I'm really looking forward to.